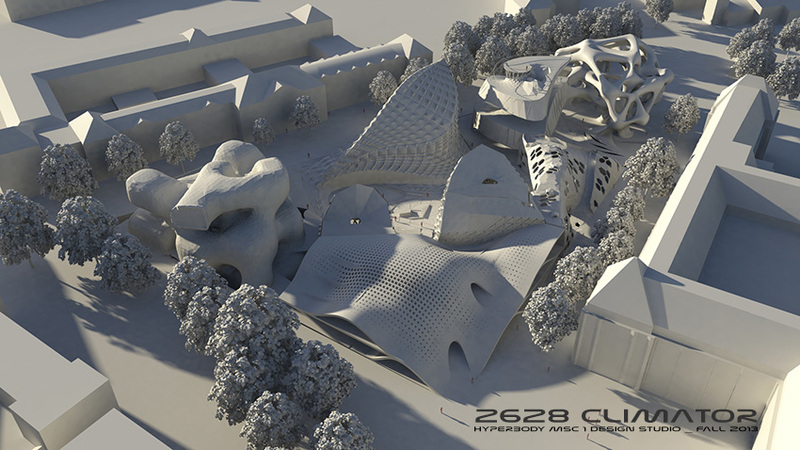 2628 CLIMATOR, constituting Hyperbody's MSc 1 Design Studio theme, aims to explore the notion of embedded interactive systems employed for spatial reconfiguration and climate control, CO2 reduction, as well as distributed and renewable energy production. 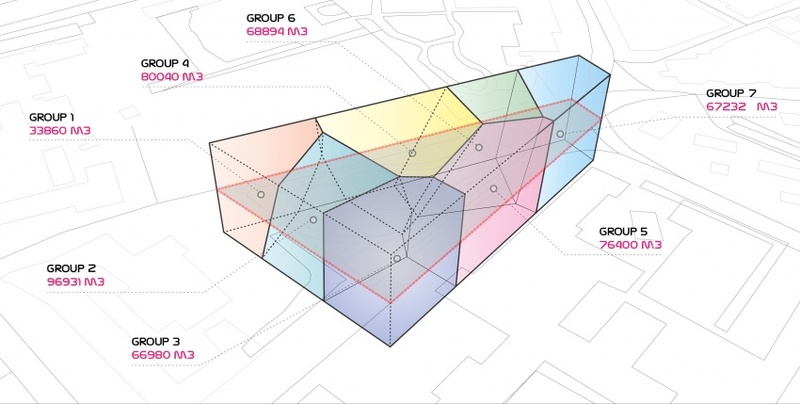 The Studio focuses on the pressing urgency for dynamic climate control, performed by a swarm of networked interactive systems, incorporating a variety of climate-related building components, locally driven by people’s preferences and external environmental conditions. In this context, each student group will develop a unit of ca. 2.500-3.000m2, facilitating a combination of 2-3 uses such as apartments, retail stores, and exhibition spaces, or conference facilities, BK faculty club with restaurant and glasshouse, or any other combination. The embedded, actuated devices would range in size and function from micro- and small-scale actuators for opening windows or controlling sunshades and light conditions, to larger sized building components operating as ventilation and energy generator devices. The challenge is, therefore, to develop an innovative concept for integrated interactive climate-control systems and energy generation that will, in turn, create a relational model of the different parameters each system is concerned with, so that the proposed systems will function associatively, rather than individually. This page was last modified on 4 February 2014, at 14:42.